Windows Doesn't Detect My Phone: Help! Transferring files from your phone to your computer is supposed to be as easy as connecting it via USB. Windows wakes up, adds the phone to your Windows File Manager, and you’re off to the races. But as I myself had to ask twice this very month, “What if Windows doesn’t detect my phone?” Today I’ve got the solutions for this frustrating problem. There are two surefire fixes for this: if one doesn’t work, the other most definitely will—assuming there’s nothing wrong with your computer, USB cable or computer, of course. Let’s start with the simpler of the two. Connect your phone to your computer using the USB cable that came with the phone. Go to the phone manufacturer’s website, download and install the drivers for the phone on your computer. This is the solution that worked for my LG phone after using the cable that came with the phone made no difference for me. 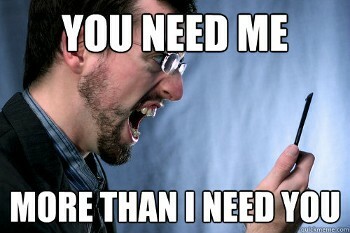 All the major brand phone manufacturer websites (Samsung, LG, HTC, etc.) will have a Support link, and under that link you’ll find an option for Drivers, or Downloads, or Software. Select that option, enter your phone’s model in the provided look-up box, and you’re good to go. The download package will be tiny. Once it’s downloaded, double-click the downloaded file to launch it. Installation should only take a minute or two. When installation is complete, reconnect your phone and watch the Windows desktop for the little pop-window that says your device is detected and asks you to choose what to do when it’s connected. Click on that pop-up and make your selection. Windows should remember your choice every time the phone is connected in the future. One other, less likely possibility is that you’ve got a bad USB cable. It’s easy to find out: just try a different one. 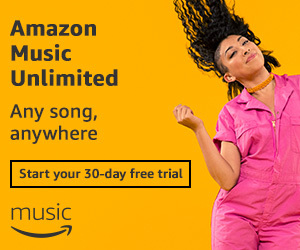 With the Try Amazon Music Unlimited: 30-Day Free Trial offer (Amazon UK customers click here), it’s easy to try Amazon Music Unlimited and see how it stacks up against competitors like Pandora and Spotify before you commit to an ongoing subscription. At $9.99/mo for a single membership, $14.99 for a household membership, $79/yr or $7.99/mo for Prime members and $3.99/mo for a single-device Alexa subscription, and with tens of millions of tracks available, AMU may be exactly the music streaming service you’re looking for.